Swiss money-management giant UBS will double headcount in India to 3,000 people by the end of this calendar year, group chief financial officer Kirt Gardner told. 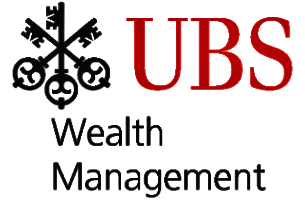 UBS already has two captive centres in Mumbai and Pune. The bank is also ‘studying’ regulatory developments that could pave way for it to re-establish a wealth management presence in the market, according to Gardner, though he did not elaborate on the timing or the construct within which it could offer these services. Stock market regulator Sebi, through a circular on February 15 titled “easing access norms for foreign portfolio investors”, said it would allow wealth management arms of private banks to invest in securities on behalf of their offshore clients. “We are impressed with the ease of doing business in India in the past three years and consider this to be a strategic market for us,” Gardner told. To be sure, he cautioned that while the overall outlook on India remained positive, the outcome of general elections next year was being closely monitored by investors. “We went through an exercise in 2012 to streamline our capital footprint. We pulled out of a lot of structured and fixed income businesses and streamlined our rates footprint and credit footprint,” Gardner said. The bank, which manages more than $2 trillion of assets for wealthy individuals and families, said it was noticing key trends that included wealthy Indians diversifying investments globally, showing interest in buying blockchain companies and becoming conscious about sustainability and philanthropy. UBS expects near-term volatility in equity markets to continue due to economic as well as geopolitical factors such as protectionism. "Asia will continue to remain the engine of global economic growth", Gardner said, backing his claim by saying that the Asian region had become the second highest contributor to profits for the bank’s global wealth management unit, beating Europe.